On July 7, 1947, something crashed deep within the New Mexico desert. The army described a flying saucer, only to retract its announcement. Ryan Spencer is the key to unlocking the story of the century. 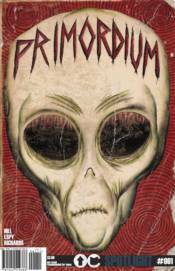 Primordium is the beginning of his journey to unravel the past, to discover what happened that night, and to find out how those events have shaped every day that has come after.